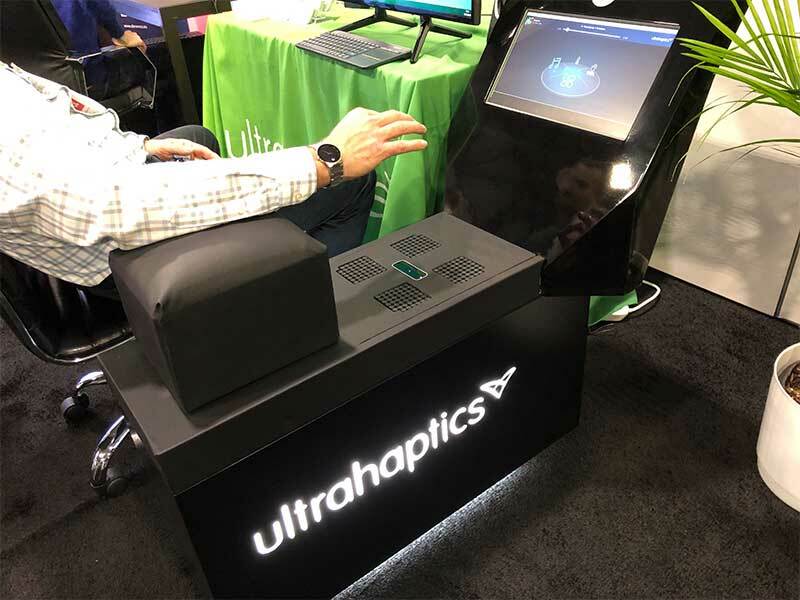 Ultrahaptics’ new automotive infotainment controls were named as a key trend in automotive infotainment at CES 2019. Deceptively simple and intuitive, in reality a huge amount of user-centred design took place to create this polished set of controls. Gareth Young, UX designer on the project, takes us behind the scenes. Some of the most powerful innovations are those that transform everyday experiences. Changing a music track, answering a call or altering climate control while driving are things that many of us do on a daily basis. The design of automotive infotainment systems has a huge impact not just on subjective user experience but also safety. Imagine being able to reach out and have infotainment controls come to your hand, rather than fiddling around – and taking your eyes off the road – locating touchscreen menu items or knobs and buttons. Ultrahaptics’ technology creates tactile sensations in mid-air by controlling ultrasound waves. It is typically coupled with 3D gesture tracking to create invisible, dynamic controls that float in mid-air above the central console. These come to the user’s hand when needed. The haptic technology has already featured in concept automotive infotainment systems from Bosch and Harman. 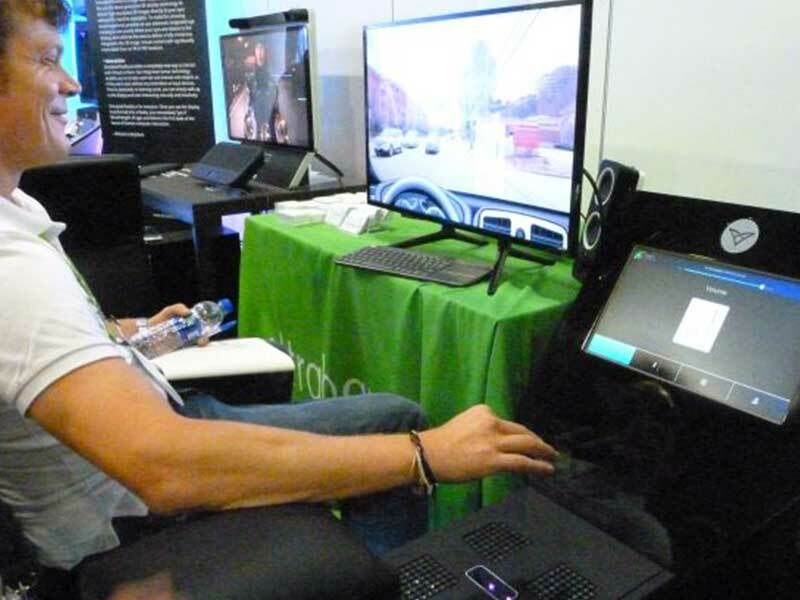 A 2018 study by the University of Nottingham, UK also suggested that interfaces incorporating mid-air haptic feedback and gesture control reduce error rates, reduce “eyes off the road” time and are strongly preferred by users. At the start of 2018, we embarked on a user-centred design journey to refine the controls further. 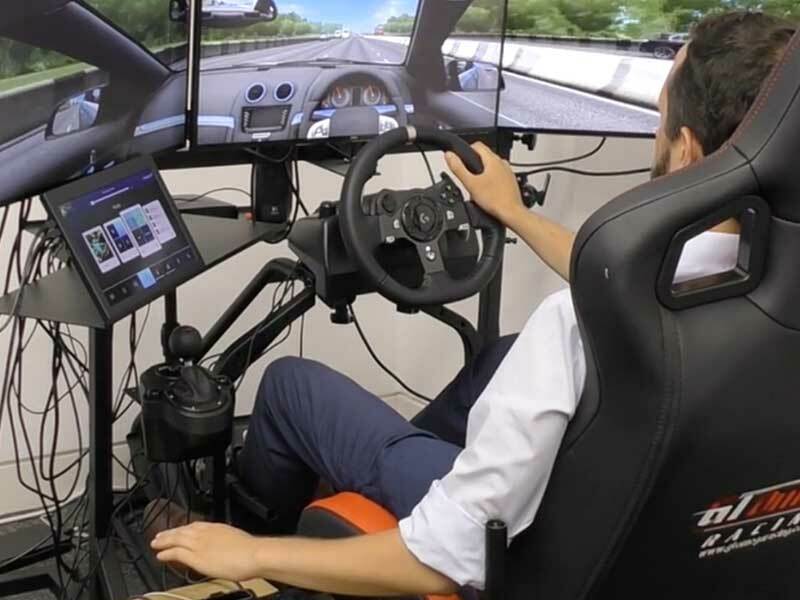 The project involved multiple prototypes and iterations and a thorough process of external user testing using a high-fidelity driving simulator. 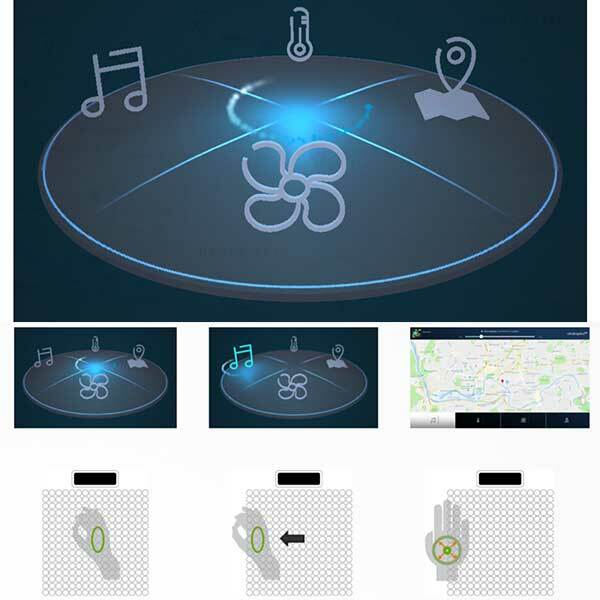 The controls were refined down to a set of simple, robust multi-purpose core gestures and corresponding haptic sensations. These proved easy to learn and use. Because gesture control and mid-air haptics are a non-visual mode of interaction, they are most useful when actually driving. The controls focus on use-cases most likely to be needed while a vehicle is in motion, such as adjusting volume, temperature or fan speed, pausing/playing media, satnav, and answering/declining phone calls. Through the design process, we also refined the interface so that drivers did not need to be precise in their hand placement to operate infotainment controls effectively. The amount of movement required to perform tasks was reduced, and gestures that required a high cognitive load (such as continuous/circular movements) were removed altogether. We also worked on making form factor of the array of ultrasonic speakers more flexible. Our new controls allow the haptic array to be split across a number of different panels to enable seamless, contemporary design solutions. 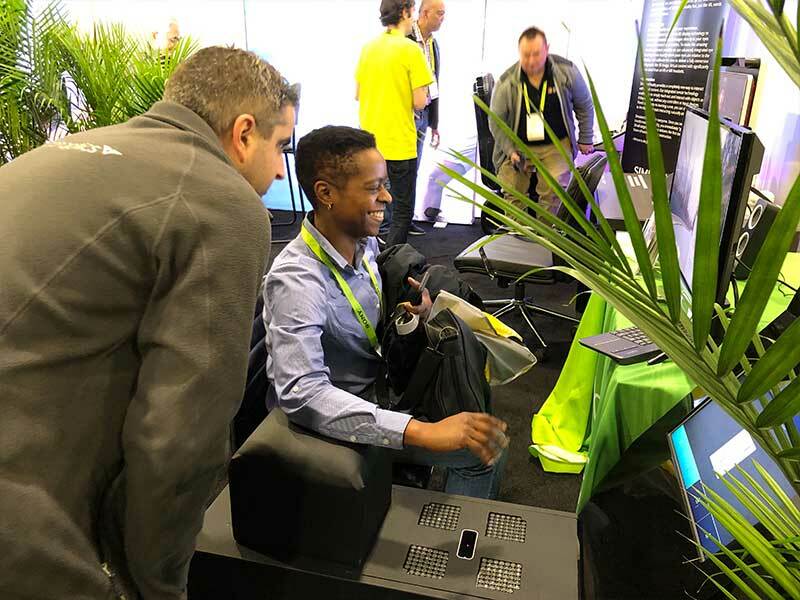 If you didn’t get a chance to check out Ultrahaptics yourself at CES, contact us to arrange a demo or to find out about our new automotive design acceleration program – a specialist support program designed to give automotive customers all the tools and expertise they need to move confidently towards production. We can guarantee you’ll be amazed at how simple and intuitive automotive infotainment controls can be. Gareth Young is a senior UX designer at Ultrahaptics, with over 10 years’ experience of designing applications for multiple platforms. He works on developing revolutionary interfaces using mid-air haptics and can be contacted here. Discover why haptic technology is going to make automotive HMI safer, more intuitive and more enjoyable to use.